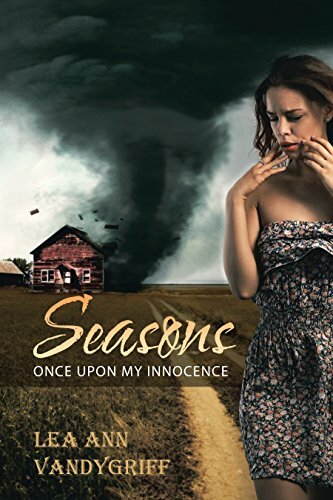 Seasons takes place in a small town that’s struck by a tornado, which sets of a series of terrible events. What was your inspiration for this novel? I grew up in a small town much like Rhinehart. Many people think small town life is ordinary and simple. Not always the case. Although the book is fiction, some events were actual in nature. Rhinehart is a community riddled with secrets, devastation, gossip, deception and violence. On the other hand, the community is filled with compassion, kindness, joy and forgiveness. The book is designed with colorful and unique characters and events for a reason. My hope is that everyone who reads the book would identify, connect and be inspired by the community of Rhinehart. You use faith as a guide to help your characters overcome obstacles. What were some themes you felt were important to capture? One theme that transpires over and over is forgiveness. There is an instance in the book where a victim’s forgiveness is upsetting to the reader. While it is not the most popular outcome, it does cause you to think about how your decisions affect others. Another theme would be to do what is right and love your neighbor even when they don’t deserve it. The community comes forward to help a family that has caused nothing but trouble and aggravation to the town. This is a theme I would hope the readers would practice among their own neighbors. There is a feeling of incredible accomplishment when you can set aside your differences and do what is right. There are so many interesting and intriguing characters in this novel. Who was your favorite character to write for? I had so much fun creating them all. I would say the most fun to write is the interaction between Aunt Ida, the sassy grocery store owner and Sheriff Richards, the pot belly law man. The two are always matching their wit and the Sheriff usually loses. Daniel’s brothers are wild and unpredictable, they keep the community on their toes. Aubree the young teen is the glue that connects the characters. She has a heart of gold and sees the good in everyone. The characters are all special and the variety of personalities will cause you to laugh, cry, get angry and love them all at the same time. I felt like this book ended perfectly for a sequel. Are you planning to write a follow up book? Yes! The second book Seasons Justice is Not for The Weak is a little over half written. The second book takes you into the High School years for Aubree and her friends. Daniel and his brothers return to Rhinehart and begin their rampage once again. Aunt Ida and Uncle Leo go missing and a search begins. Derek and Dillion take advantage of the fact the Sheriff is busy, to go on a crime spree. Phil their father trying to stop them finds himself on the run for their crimes and a man hunt is underway. The brothers as always go home to roust at their grandmothers. Daniel protecting the Sheriff does the unthinkable. Unable to live with what he has done runs away. Aubree is kidnaped by a local man who is mixed up and has a history of being violent. The community must come together to find her. In the mist of all the tragedy one of wild brothers finds himself for the first time on the right side of the law and helps apprehend a criminal. He turns to Jesus for help in putting his family back together and sets out to look for his father and Daniel to bring them back home. The rest of the story is in process, even I can’t wait to see how it’s going to end. Lol. In Seasons, we explore the loss of innocence when adversities hit a little southern town. We often ask, where is God in all this? What happens when you have difficult choices to makechoices that will affect everyone around you? How do you find answers to why God allows terrible things to happen to good people? How do you feel about God when his answer to your question is no? The world around us is harsh, and we long to feel safe and special. Perhaps in Seasons you will be able to find that, by one young girls journey through innocence lost, you can learn to accept, forgive, and find comfort in the strength God has given her in some of the darkest days and endless joy that surrounded her life. 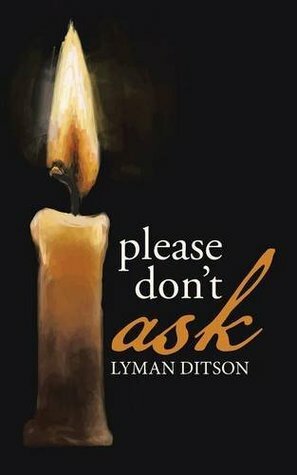 Please Don’t Ask by Lyman Ditson is a collection of poetry. There are fifty-one poems in the collection covering a wide range of topics and eliciting emotions of all kinds from the reader. The book opens with the title poem please don’t ask. It sets the tone for this collection, one of sarcasm and dry wit. It makes it clear this is not a book of love poems, or Shakespeare. This is not the book for someone looking for romantic rhyming verses with perfect meter or even following any standard poetic mechanisms. Instead, Ditson uses freeform prose, punctuation and line breaks to convey a deep message in each poem. Some of the poems are light hearted such as dog nap, a playful take on the frustration of how such a small creature can take up the whole bed when they refuse to move. This is something all animal owners are well aware of. Than there are poems like the general. This piece speaks of war. One of the longer poems in the collection, it goes into great detail talking about the meaninglessness and pain that war causes, that it is not by God’s direction, and not some grand event to run quick into. Instead the author shows the pain, the meaningless loss of life and just the drudgery that is there, not glory. Ditson has the ability to cover topics well that are mundane and those that are deep. He questions God’s will in many of the poems and those that are devote believers might take offense to some of his tone. Than there are poems such as Dear Brother, that are beautiful and deeply personal. Speaking of the everlasting relationship between brothers that will extend even beyond death. The poem frog heaven gives the reader a look into the world of what might be. It makes the reader stop and think of life in a new perspective, not all things that look bad to start are in the end. The author challenges the reader to think further than the moment and see the whole picture, not just in them, but of the world. Trying to feel truly strikes at the heart of some of todays problems in the world, the inattentiveness we have for those around us as we divulge deeper and deeper into the electronic world. The collection ends with several poems dealing with the end of things, death, end of a season of life, and a message that we are all smaller than we think we are in this world. 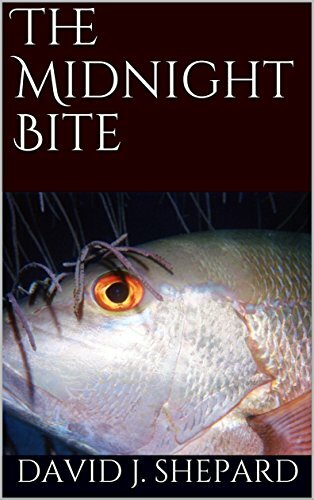 Over all Lyman Ditson’s collection of poetry is a good read. It brings forth an emotional response from the reader, as all good poetry should. I enjoyed the lack of whimsical prose and the more sarcastic realist views. The collection brings you face to face with many of the modern issues we are living with right now. It does not shy away from the topics that people do not want to think about. Thought provoking and meaningful poetry, a collection that can bring the reader in and leave them thinking about the subjects well after the cover is closed.